The 35-storey M5V building is a display of beauty and innovation. Located at 375 King Street West, it serves as a model for sustainability in design and development in the downtown condominium market. This is a building of high ideals where design and contemporary urban philosophy unite in a luxurious example of modern living. M5V proves its outstanding sustainability having achieved LEED Gold Status, making it an example of green living in an urban space. It was also the winner of the 2007 Greater Toronto Home Builders’ Association for best architectural design, best community, best sales office and best suite design. With accolades like these, the M5V is undeniably one of the best condo options in downtown Toronto. 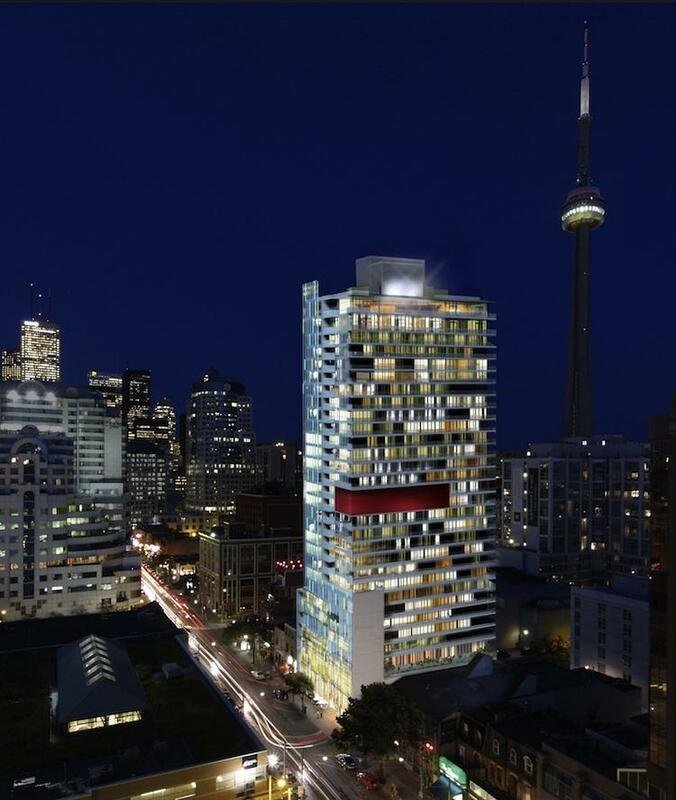 Living at the M5V also means prime location, as it provides residents with access to the best of the Entertainment District and the Toronto downtown core while offering spectacular views of the city and Lake Ontario.